The subject, style and execution of the decoration is typical of the second decade of the 20th century. The form is also indicative of a change in potting technique, the two joins of the three component parts being at the shoulder and just above the base. The 'orange skin' type surface of the glassy glaze has numerous pits and distribution of the decoration has only partly been successful in hiding these. 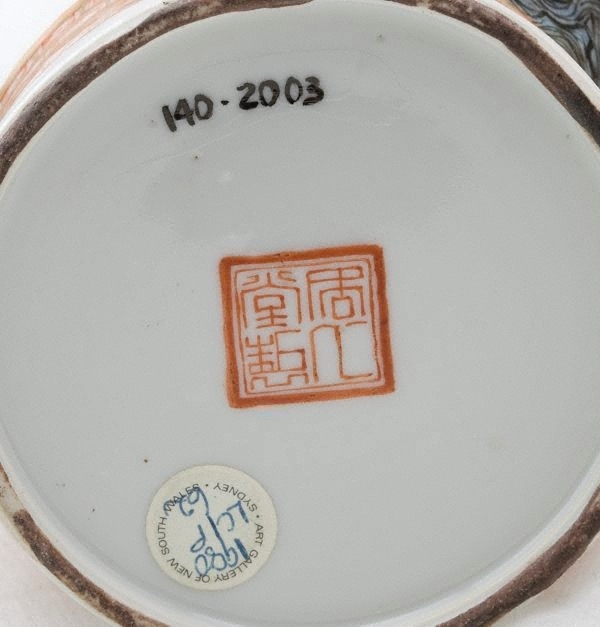 The mark refers to a palace in Beijing rebuilt by General Yuan Shikai for his own use when elected first President of the Republic. 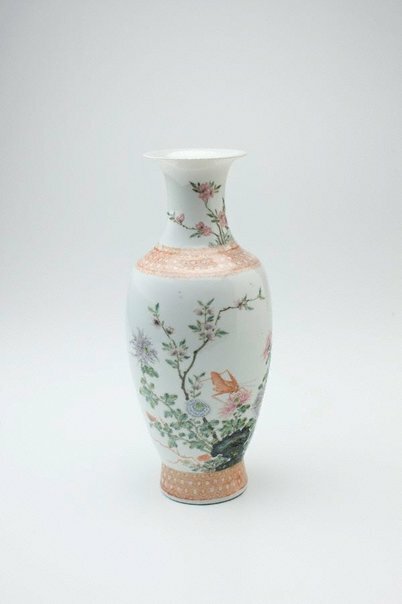 Late Chinese Imperial Porcelain, AGNSW, 1980, pg.40.